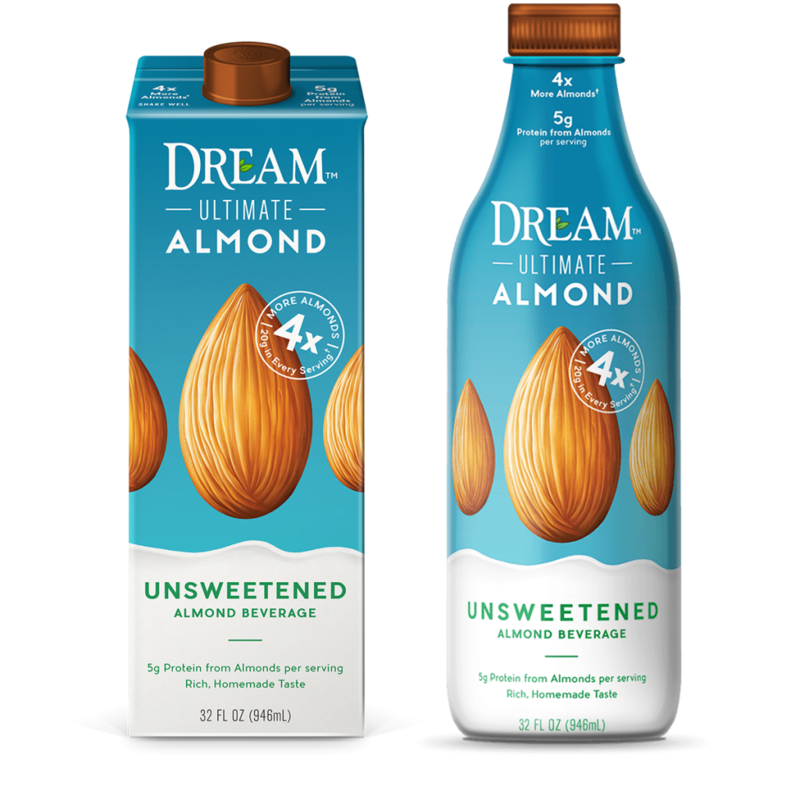 DREAM™ Ultimate Almond Unsweetened Almond Beverage has the rich, creamy taste you’d usually only get from homemade. Made without added sugar, it has 4 times more almonds – that’s 20 grams of real California almonds per serving – plus 5 grams of plant-based protein from almonds in each serving. * It’s delicious by the glass or over cereal and granola. Try adding it to recipes for a rich, nutty flavor. *This beverage contains 20g of almonds per serving. Almond DREAM Almond Drink Original contains 5g of almonds per serving. 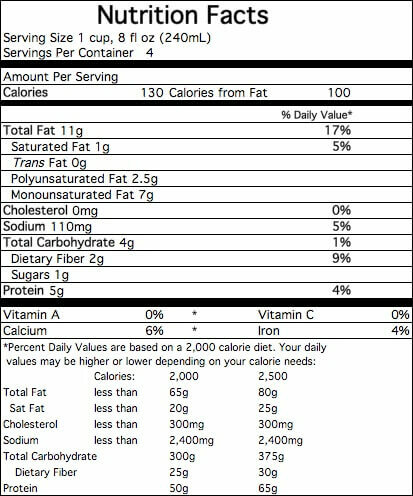 See Nutrition Information for daily value of protein. Want to learn more about the benefits of DREAM™ Ultimate Almond and our other products? ALMOND BASE (FILTERED WATER, ALMONDS), SEA SALT, SUNFLOWER LECITHIN, GELLAN GUM, XANTHAN GUM.